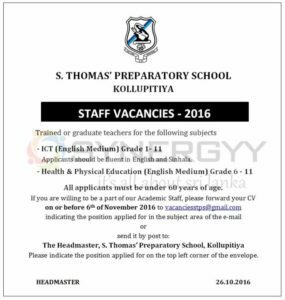 Applicants should be fluent in English and Sinhala. All applicants must be under 60 years of age. Please indicate the position applied for on the top left corner of the envelope.